Find information on a known company, or build a list of companies that meet your criteria. UC Berkeley subscribes to several professional-level market research sources. Use these to find market size, market segments, major players, and market share. Here you'll find links to our industry-specific databases, and some sources that cover industries in a special way (SWOT, financial statement analysis, etc). 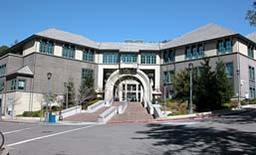 UC Berkeley has access to digital versions of many archival collections. Here are a few that are relevant to business history.